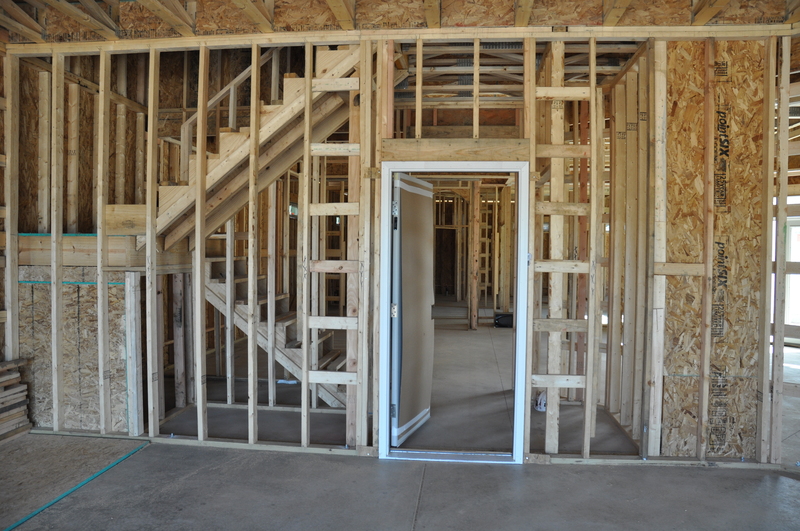 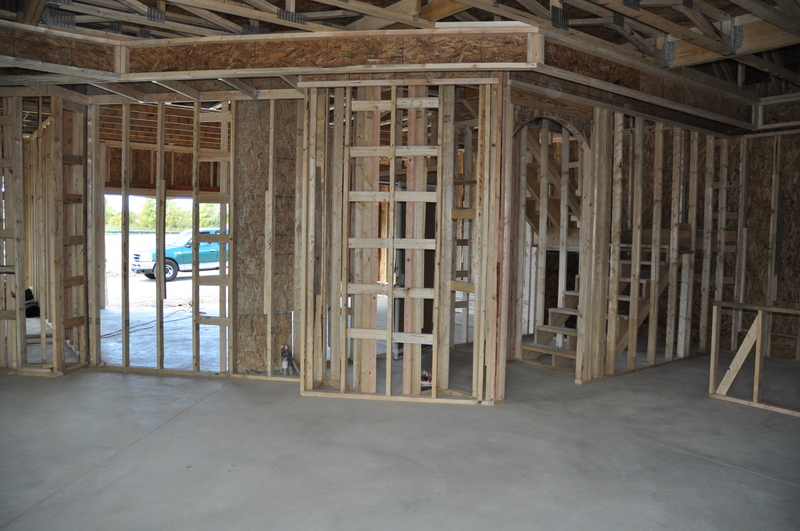 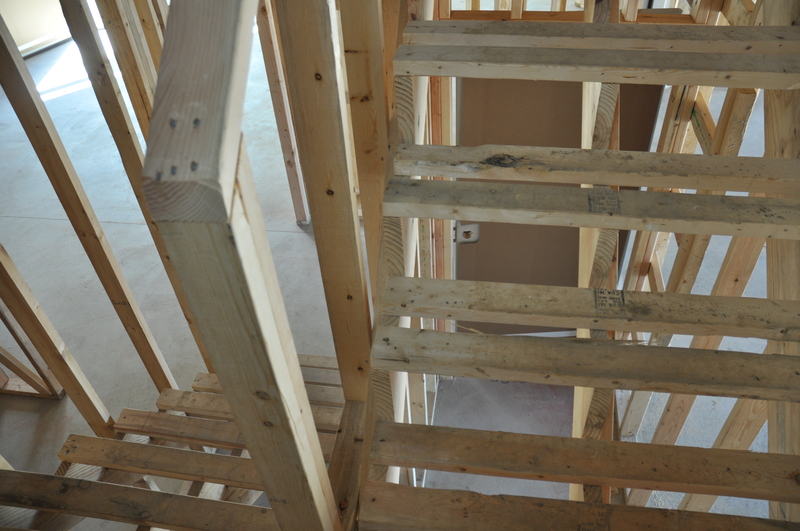 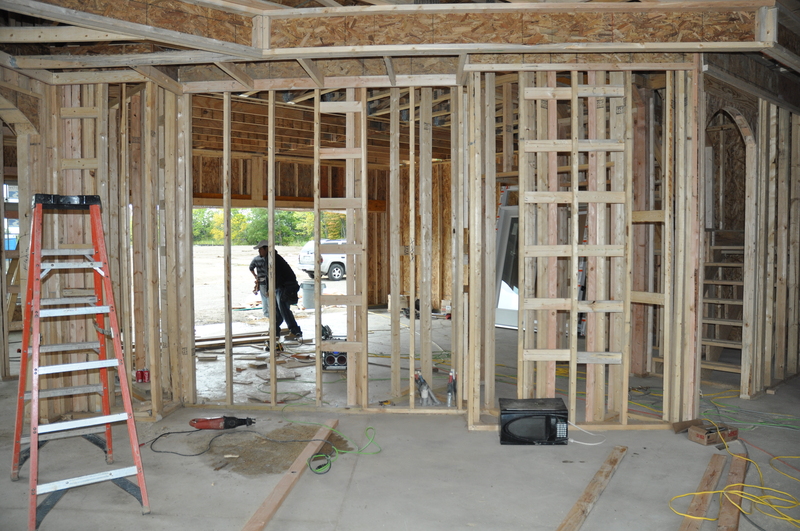 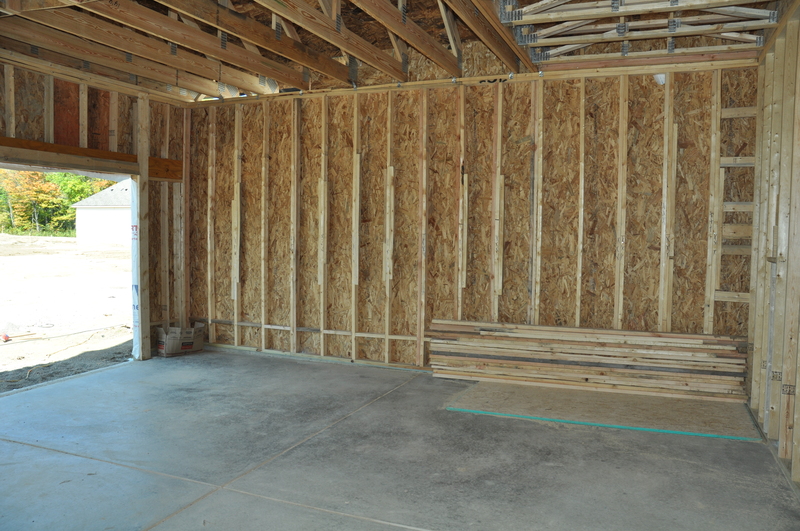 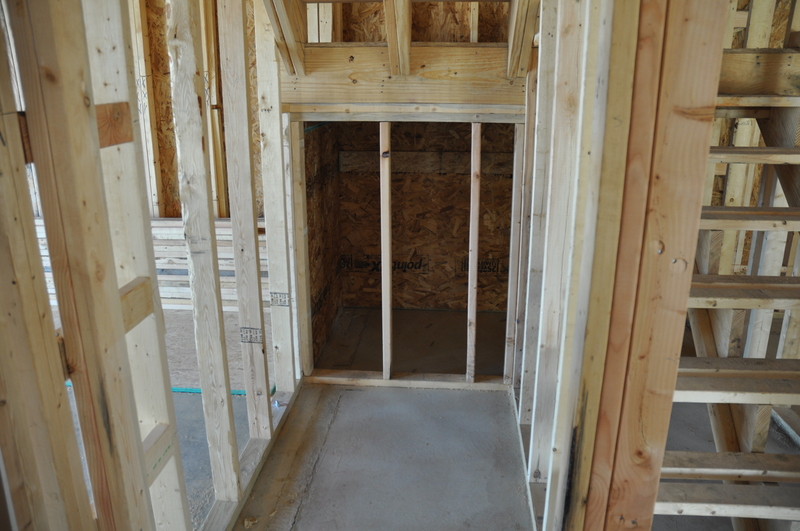 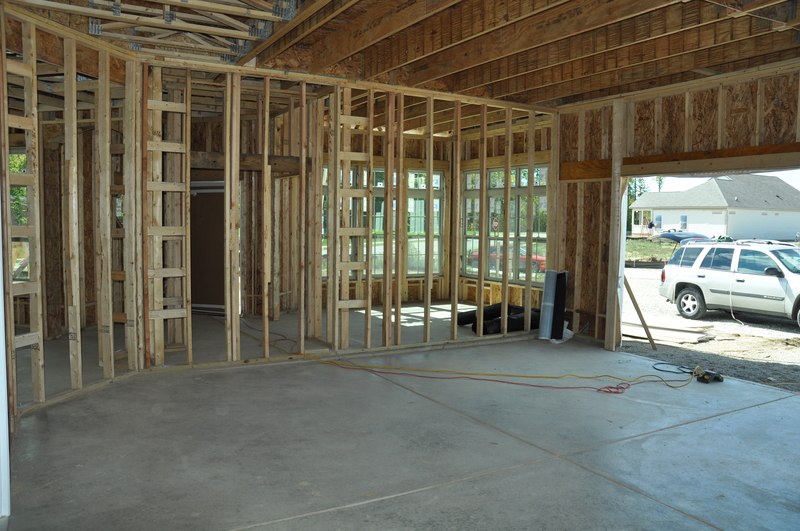 Our garage is likely the closest-to-standard room in our entire Promenade plan. 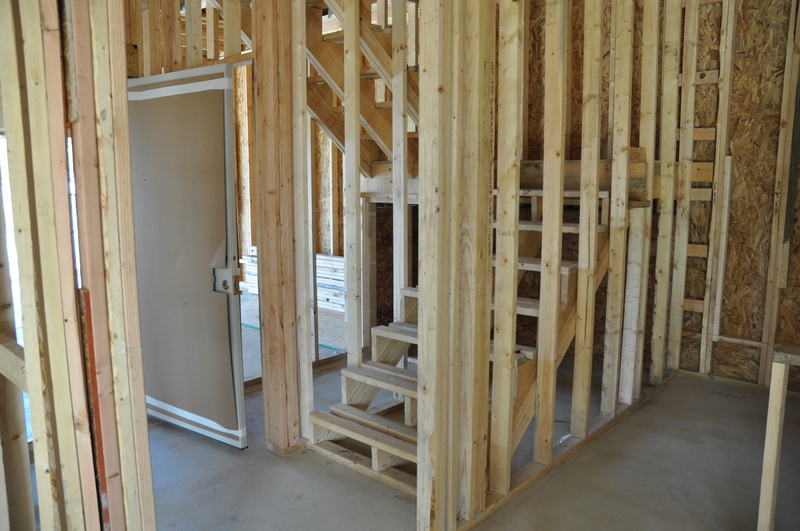 It is a 2 1/2-car space with an entry door to the hallway to the kitchen. 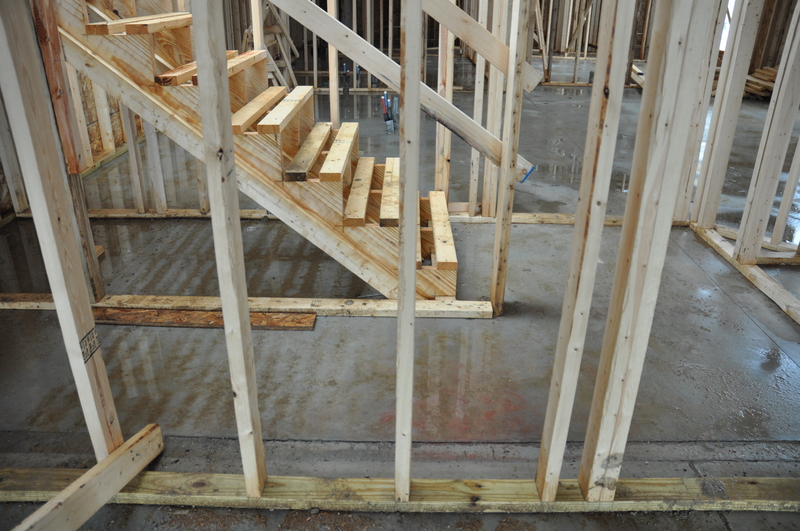 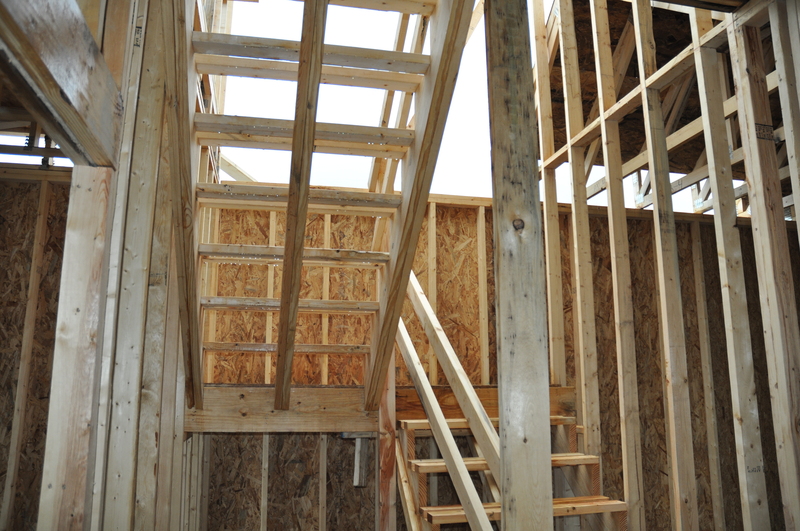 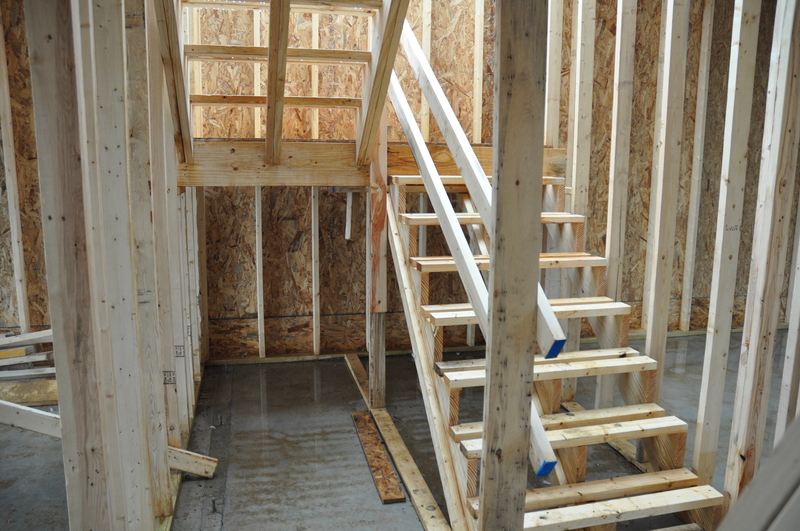 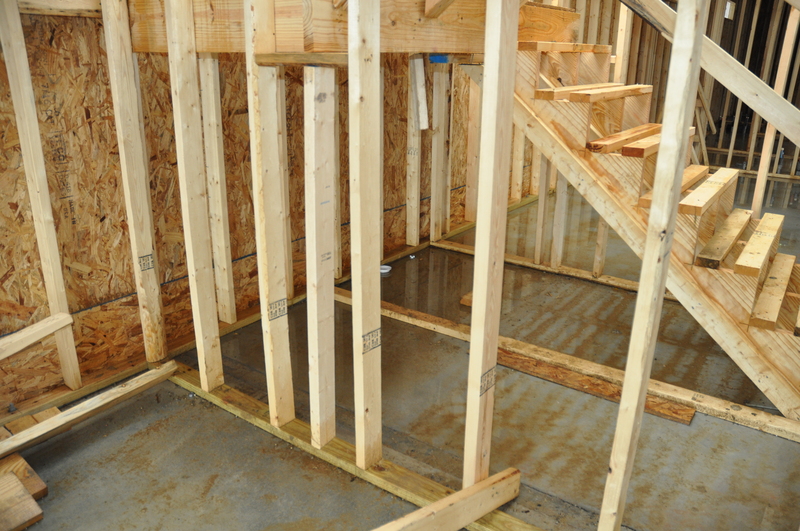 We’re working on creating access from the garage to the under-stairs storage area. 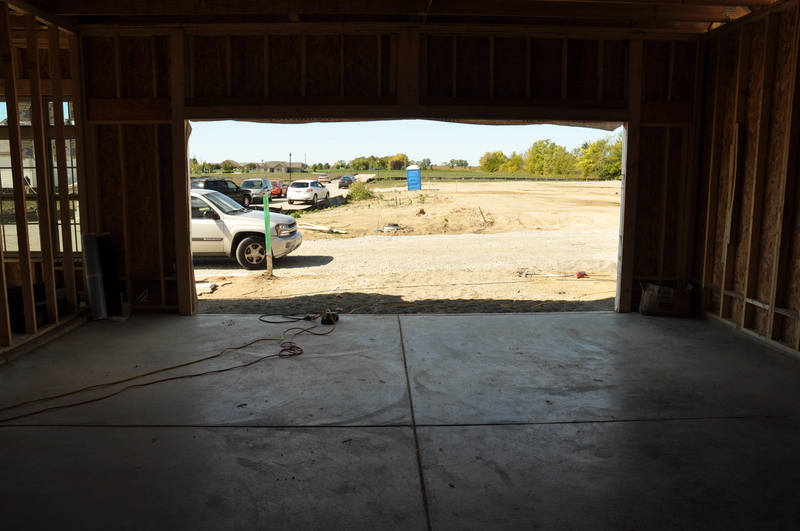 The exterior garage door should be installed any day now. 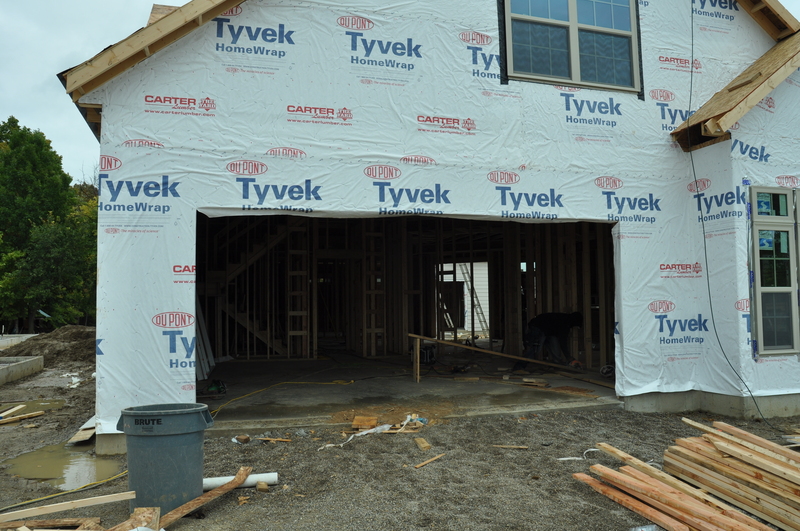 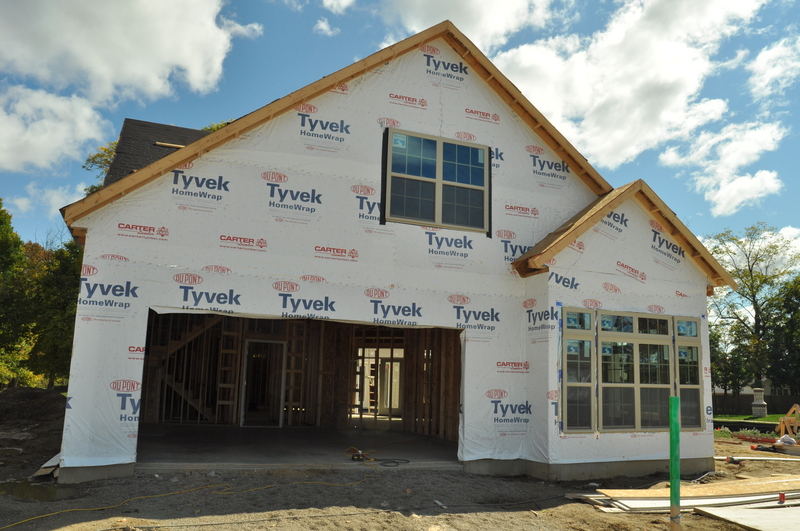 There will be siding on the exterior gable over the garage, and the remaining exterior around the garage will be stone.